The shortest ever winter hiatus in German football is about to come to an end, which gives us the opportunity to profile each team's chances in the second half of the campaign as we preview them one by one. The main focus would be on the top dogs of German football - the likes of Bayern Munich, Bayer Leverkusen, Borussia Monchengladbach, Borussia Dortmund et al. Since we have already covered almost all of the big teams in the Bundesliga in our previous articles, this will be the final part of our Bundesliga Ruckrunde preview series, which would focus one of the most popular clubs in Germany: Borussia Dortmund. It has been a season full of turmoil for Borussia Dortmund, who have struggled a lot following the departure of Thomas Tuchel. Following a glittering start to the season, with a five-game unbeaten run(4w, 1d) and zero goals conceded under new coach Peter Bosz, the black and yellows got terribly exposed, especially at the back, and what followed was an eight-game winless streak from October to early December, during which their only victory came in against third-tier Magdeburg in the DFB-Pokal Cup. Frequent defensive mishaps and an inability to successfully execute a high defensive line was the main reason behind their demise under Peter Bosz, who was sacked earlier last month, after slumping to a defeat against lowly Werder. Then came Peter Stoger, the former FC Koln boss. 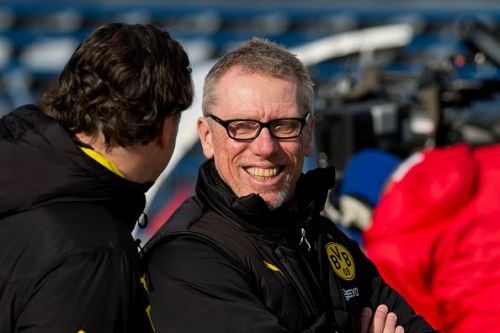 Even though Peter Stoger was the best option available for Dortmund during that time and was certainly an upgrade to Armin Veh(eight wins in 40 games and jobless for 18 months), his appointment still crept in pessimism among the BVB supporters, largely thanks to bad repertoire at Koln this season. However, the Austrian mastermind was very clever to adapt to his new club and did his best to cover up the mistakes made by the previous coach. First of which, was to prevent the defence from executing a high line and obtain a more conservative approach, which was evident in their impressive passing accuracy of 87% against Hoffenheim and Mainz respectively. The former Koln head coach propelled his side to two back to back victories and despite getting knocked out by Bayern in the DFB-Pokal Cup, their brave showing could be a sign of better things to come for the Black and Yellows. Dortmund's dream of successfully defending their DFB-Pokal Cup title was shattered during their 2-1 defeat against the Bavarians last month. Meanwhile, their hopes of clinching the Bundesliga also seems far-fetched at the moment. However, after being knocked out from the UEFA Champions League group stages, the German giants are now tipped to be one of the favourites to clinch the Europa League this season. Winning the Europa League would definitely be a big accomplishment for Borussia Dortmund, who have won only one major trophy in their last 5 seasons. 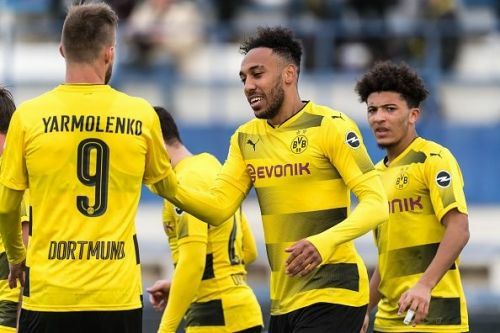 Borussia Dortmund, as usual, have been reluctant to splash the cash in the January transfer window thus far, despite all their troubles this season. However, considering their deficiency in the defensive department, the black and yellows could well be forced to break the bank this January. 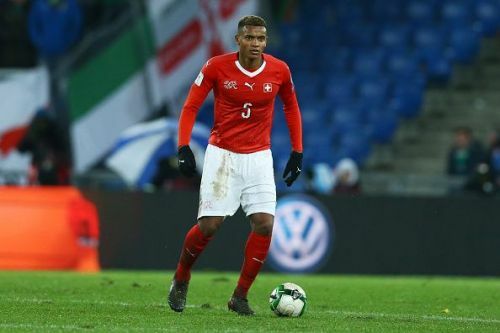 According to the Daily Mail, Basel's defensive gem Manuel Akanji has been highly linked with a move to the Signal Iduna Park in the January transfer window. After Liverpool signed Virgil van Dijk, the Swiss International is highly tipped to join the Ruhr giants for a fee of €20 + bonuses. Dortmund are also looking for a backup striker for Pierre-Emerick Aubameyang, especially after Alexander Isak has provided to be a big flop. Highly-rated Argentinian striker Lautaro Martinez is a candidate along with Manchester United playmaker Henrikh Mkhitaryan, who reportedly wants to return to BVB after failing to impress Jose Mourinho this season, according to the Independent. 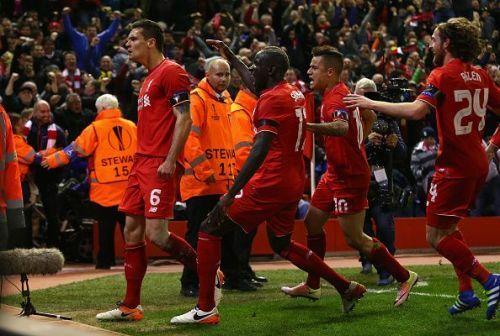 Here's a look at what we think has been Borussia Dortmund's strongest lineup this season. Christian Pulisic has been, by far, the best Dortmund attacker this season. Even though his performances put him nowhere close to the team of the season accolade, largely due to his inconsistency in certain matches, Pulisic has been the only bright spot in an otherwise dire attacking line of Dortmund. If he can improve his performances in the second half of the season, a move to Premier League or La Liga could be on the horizon for the American teenager. Manuel Akanji is another player worth looking forward to. Even though his transfer to Dortmund hasn't been confirmed yet, the Swiss defender has been already spotted in Dortmund and the deal could be officiated later today or even tomorrow. Akanji is very athletic and a very good passer of the ball. It would be interesting to see if he can prove to be an upgrade to Omer Toprak and Marc Bartra in the Rückrunde this year. Overall, things are looking very bleak for Dortmund, prior to the start of their Rückrunde campaign. The Black and Yellows will face off against a sturdy Wolfsburg side tonight, which could potentially give out a hint as to how good will BVB fare for the remainder of the season. That being said, they do have a chance of winning the Europa League this season, having been drawn against Atalanta in the Round of 32. With no Liverpool this time to traumatize them in the knockout rounds, Dortmund certainly have a decent chance of landing the first ever Europa League triumph in the club's history. Who is the new Borussia Dortmund signing Leonardo Balerdi?